We know that for most people thinking of selling their home, what usually matters most is what they would make from the sale. Of course there are other factors that come into play, but the equity you’ve built is important. 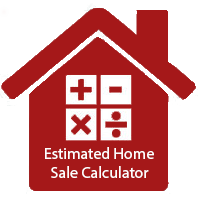 Click below to get started with the Estimated Home Sale Calculator to forecast what you can expect to net in the sale of your home!